These claims were listed as 24 x 15 or 5/8" there are 15 pieces, they are 20mm ID - NOT 5/8 or even 24 - don't even know where the 5/8 came from! - but that's the ID I was looking for. Other than the size being misleading, the quality and price are good. 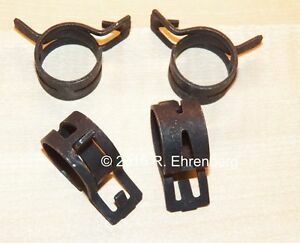 So, if you need a 20mm ID (at rest) hose clamp that is about 14mm wide - these are for you. They would probably work on a 3/4" heater hose. Great clamp for the job! Exactly what I wanted. Others I have received were too weak for the job. These are plenty tight!